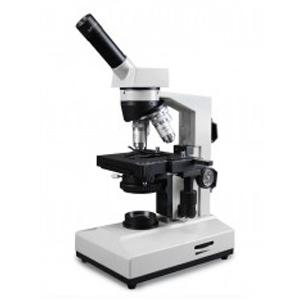 Be comforted in knowing our microscopes are quality built and student proof; optical and mechanical components are always checked prior to delivery. 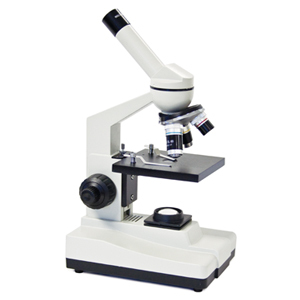 A well maintained (quality) microscope can last up to 15 years or longer. a. 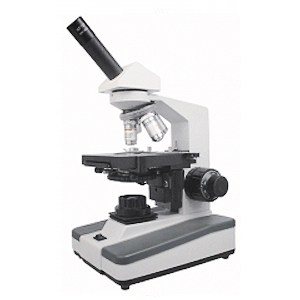 Compound microscopes: Commonly used to observe 2-dimensional images on the thin section of glass slides. 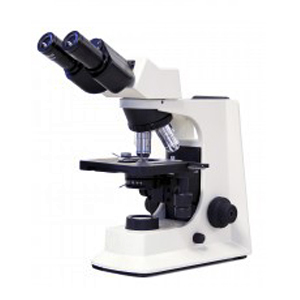 Magnification ranges up to 1000X. 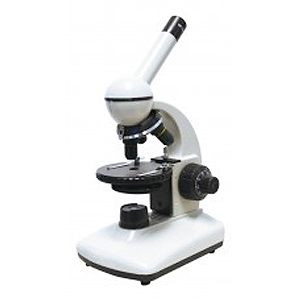 Compound microscopes are ideally used to view smaller objects such as cells and bacteria. b. 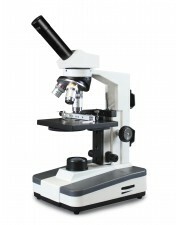 Stereo microscopes: Ideally used to view 3-dimensional images. 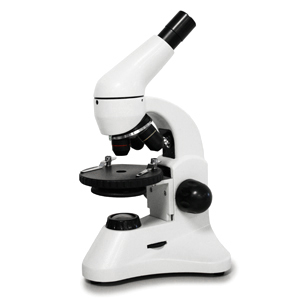 Stereo microscope magnification ranges from 10X-40X. 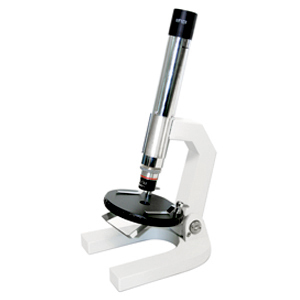 Ideal for observing larger objects such as rocks, insects, small water organisms, etc. 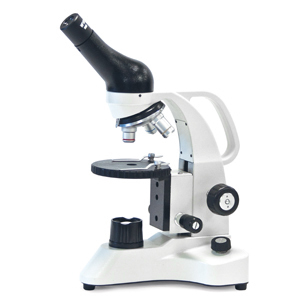 An advanced microscope is a great investment for scientifically inclined children. 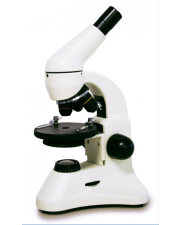 A quality advanced microscope will last throughout the entirety of your child’s education so don’t be afraid to buy a more advanced microscope to avoid multiple microscope purchases in the future. 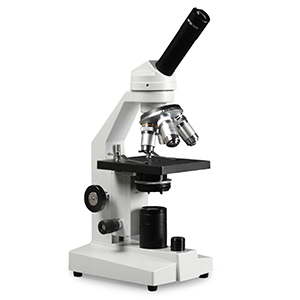 Select a high school microscope for your elementary student or university microscope for your high school student to get the most bang for your buck. 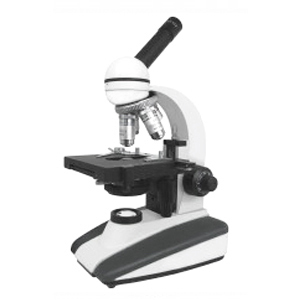 For elementary microscopes it is recommended to choose microscopes with a round and adjustable stage. 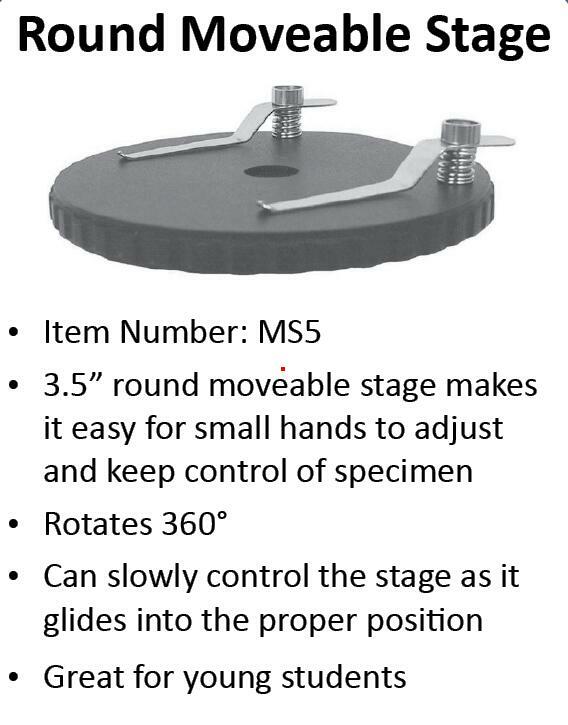 The round 3.5” movable stage is 360 degree rotatable and makes it easy for small hands to adjust and control, ideal for young students. 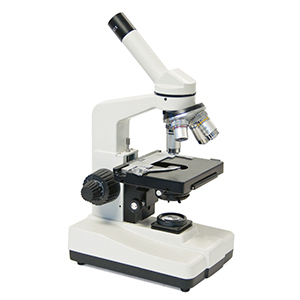 High power microscopes have a 1000X magnification. It is recommended to buy with a built-in mechanical stage. 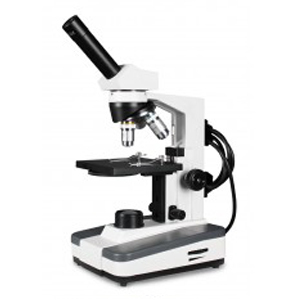 LED: The superior choice for microscope illumination, LEDs emit a bright white cool light with variable intensity control. 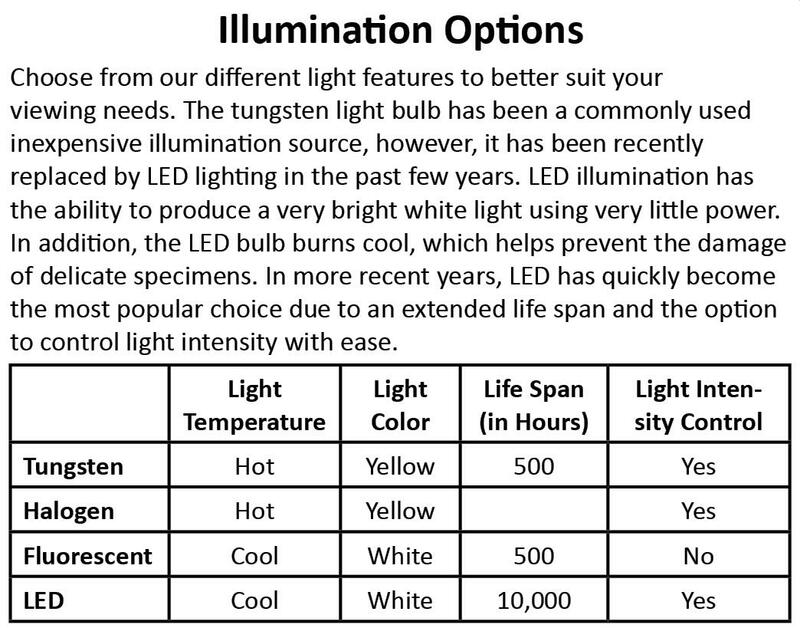 Tungsten filament bulbs: Tungsten bulbs emit a low yellow intensity and will heat up the microscope base over time. Mostly found in lower quality microscopes. 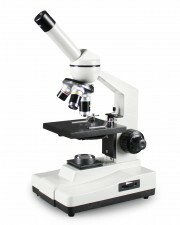 45 degree viewing heads: A 45 degree viewing head allows two observers to observe at the same time; a digital camera can replace one of the observers for digital microscopy. 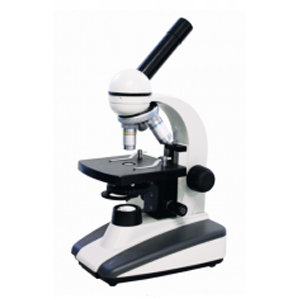 Binocular viewing head: Binocular microscopes offer greater comfort and will reduce eye strain. Commonly used in a senior high school or college setting. 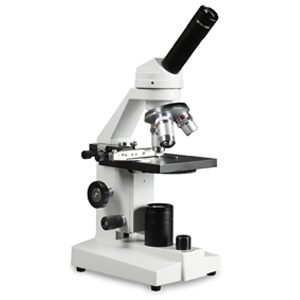 A built in 0.65 NA condenser with a 5-hole aperture disk diaphragm is available on microscopes incorporating a triple nosepiece (4X, 10X and 40X objectives). 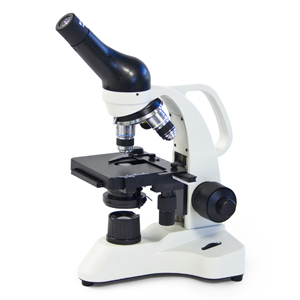 Take note that some elementary microscopes have no built in condenser resulting in smaller, non-standard objective lenses being used. 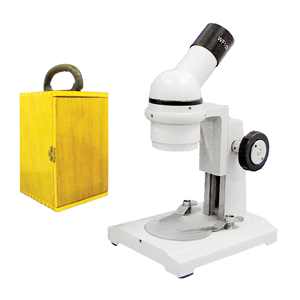 The 5-hole disk diaphragm allows the user to vary the cone of light that passes through the specimen to provide an even bright illumination for observation. 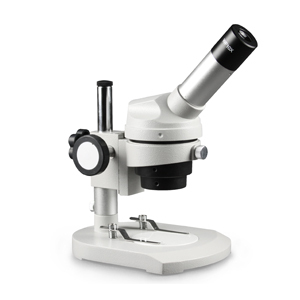 Microscope models with a quadruple nosepiece (4X, 10X, 40X and 100X) come equipped with a 1.25 NA Abbe condenser with iris diaphragm. 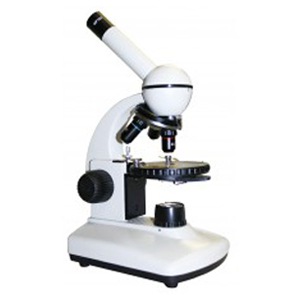 A condenser consists of a series of lenses that focus light onto the observed specimen. 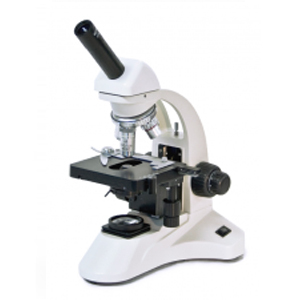 It is vertically controlled by a knob on the side of the microscope. 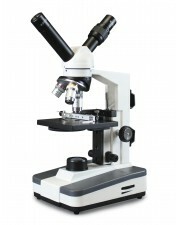 By properly adjusting the condenser, you can greatly improve the clarity of the observed specimen.